As part of the work force development of the grant, students need to pursue co-ops in Ohio. In addition to pursuing a co-op in the state of Ohio, students are also required to maintain a 3.0 GPA and regularly meet with an advisor. The College of Technology, Architecture and Applied Engineering at BGSU requires two or three paid co-ops in the Choose Ohio First – Technology Works approved programs. 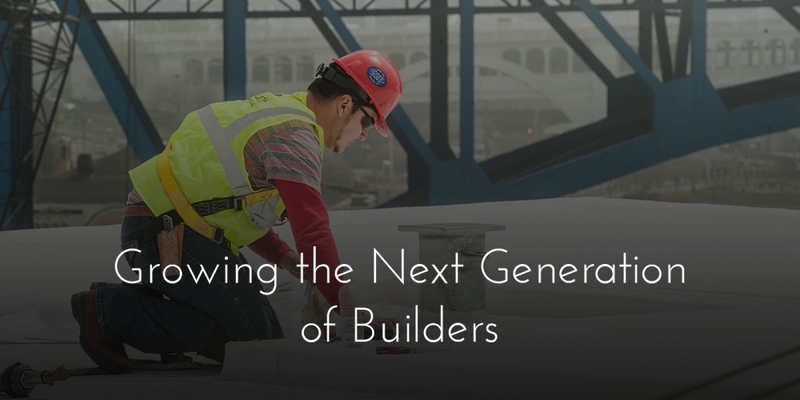 Each year the AGC Education and Research Foundation offers undergraduate and graduate level scholarships to students enrolled in ABET or ACCE accredited construction management or construction related engineering programs. This scholarship is for the 2019-20 academic year. The application opened July 1, 2018 and closes November 1, 2018. Click here to apply. You must meet the criteria to apply as an Undergraduate or Graduate. Make sure that your recommenders (one teacher and one employer) know that you are requesting their recommendation. View the 2018-2019 AGC of Ohio Education Foundation Scholarships. Copies of the general application will also be sent to you for any co-ops or interns your company may know that are eligible. The CEA and Carpenter Contractors Association of Cleveland Ohio Scholarship were established in July 2013 by the governing committees of these associations. This scholarship is awarded to a graduating senior participating in the ACE Mentor Program of Cleveland. The purpose of the fund is to provide scholarships to a Cleveland-based college student pursuing a construction-related degree. Preferred applicants will attend an Ohio college or university and be a graduate of a high school located within the City of Cleveland who has attained a cumulative 2.5 grade-point average and is enrolled in a 2- 4- or 5-year degree program. A selection committee will base its scholarship decisions on the completed application, evidence of a commitment to pursue educational studies pursuant to a degree in the construction industry, academic commitment, and financial need, as a tie-breaker. The annual award amount will be based on the performance of the fund and is currently $1,250. Awards must be applied to tuition, fees, books, supplies, and/or equipment required for courses. Awards are paid to the educational institution for the selected individual(s). Apply via College Now Greater Cleveland. CEA also offers career-focused education programs such as the Work Now: Construction Initiative, Constructor for a Day job shadowing experience and construction joint-vocational curriculum development efforts with ACE Mentor Program, the Ohio Department of Education and Cleveland Metropolitan School District.